Unique Sports Products, Inc. (“Unique”) manufactures and markets the TOURNA GRIP, an overgrip product for tennis rackets that wraps around preexisting racket handles to provide additional cushioning and moisture absorption during play. Unique and its predecessors have sold the TOURNA GRIP product in a light blue color since 1977. Unique owns a federal registration for this light blue color for “grip tape for sports rackets.” In 1999, when Unique applied for its color mark registration, the TOURNA GRIP product was the most popular tennis grip tape on the market, with sales of the product making up the majority of the market. The product remains highly successful today, and is endorsed by such tennis stars as Pete Sampras, Venus Williams, and James Blake. Ferrari Importing Company d/b/a Gamma Sports (“Gamma”) markets a different type of tennis racket grip, called gauze tape. This product differs from Unique’s racket grip tape in that it has the woven appearance of medical gauze, is tacky to the touch, does not provide additional cushioning, and does not absorb moisture. Gamma’s gauze tape product also is light blue in color, albeit a different shade. Unique filed suit against Gamma, alleging trademark infringement of its registered light blue color mark. After a two-day bench trial, the district court denied Unique’s infringement claim and rejected Gamma’s affirmative defense that Unique’s color mark was invalid. Unique Sports Products, Inc. v. Ferrari Importing Company d/b/a Gamma Sports, No. 1:09-CV-660-TWT, 2011 WL 5156798 (N.D. Ga. Oct. 27, 2011). With regard to infringement, however, the court found that Unique did not prove that Gamma’s light blue gauze tape created a likelihood of confusion with the light blue TOURNA GRIP product. In ticking through several of the Eleventh Circuit’s likelihood of confusion factors, set out in Welding Servs., Inc. v. Forman, 509 F.3d 1351, 1360 (11th Cir. 2007), the district court appeared to give the most weight to the differences in the marks and dissimilarities in the products. As to the former, the court compared the purplish hue of Unique’s light blue grip to Gamma’s nearly teal grip to finding that “the shades are very distinguishable.” Id. at *3. In analyzing the similarity of the goods, the court concluded that overgrip tape and gauze tape are not similar products. The court based its analysis on the different attributes of the two products (e.g., overgrip tape is smooth, cushioned, and moisture absorbent, while gauze tape is woven, tacky, and does not absorb moisture). The court’s analysis of the similarity of goods factor is in tension with the Eleventh Circuit’s direction in Frehling Enterprises, Inc. v. Int’l Select Group, Inc., 192 F.3d 1330, 1338 (11th Cir. 1999), where the Eleventh Circuit explained that “[t]his factor requires a determination as to whether the products are the kind that the public attributes to a single source, not whether or not the purchasing public can readily distinguish between the products of the respective parties.” Although the district court cited to Frehling, it clearly focused on the dissimilarities between the parties’ goods in the colloquial sense of the term, rather than whether the public might consider the two types of products as emanating from a single source. Indeed, it appears here that Unique and Gamma each market both overgrips and gauze tape for tennis rackets, meaning that these products do, in fact, emanate from a single source. The court relied on its determination of dissimilarity of the goods to dispose of Unique’s initial interest confusion theory of infringement. The court noted that it was an open question whether initial interest confusion can create Lanham Act liability in the Eleventh Circuit, but concluded that it need not reach an answer because of its finding that overgrips and gauze tape were dissimilar products. Unique Sports, 2011 WL 5156798, at *4; see N. Am. Med. Corp. v. Axiom Worldwide, Inc., 522 F.3d 1211, 1222 (11th Cir. 2008) (declining to decide whether initial interest confusion alone may provide a viable method of establishing a likelihood of confusion). Nor did the court consider a post-sale theory of confusion in its opinion. Post-sale confusion occurs after the direct consumer purchases an accused product, when a non-purchaser’s observation of a product with a confusingly similar mark affects his or her future purchasing decision. The Eleventh Circuit has accepted post-sale confusion as a viable theory for trademark infringement. See Montgomery v. Noga, 168 F.3d 1282 (11th Cir. 1999); United States v. Torkington, 812 F.2d 1347 (11th Cir. 1987). 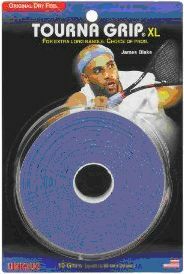 In this case, for instance, a potential consumer (e.g., a spectator at an event, a television viewer, or an everyday Joe playing tennis down at the local park) might observe another player who was dissatisfied with the light blue gauze tape (Gamma’s product) on his racket during play. If, when selecting an overgrip for himself thereafter, the first player associated the light blue color of the gauze tape with the light blue color of Unique’s overgrip, and that mistaken association affected his purchasing decision, then post-sale confusion would have occurred. In all likelihood, though, given the district court’s determination that Unique and Gamma’s shades of light blue are “very distinguishable,” it is doubtful that Unique could have persuaded the court on this theory of confusion either. In this author’s opinion, the district court made some common errors in analyzing the likelihood of confusion: (1) misapplying the similarity of the goods factor under Eleventh Circuit law; (2) comparing the marks side-by-side (though, in this case, the products bearing the marks actually may be sold side-by-side); (3) seemingly ignoring the potential for source confusion, i.e., the likelihood that consumers will believe that both products bearing the marks come from the same producer – even if the consumers understand that the marks are not identical; and (4) ignoring the potential for post-sale confusion, which, in color mark cases, looms especially large because the definition of such a color mark is that the relevant consumers associate the color with a single source. Would a proper analysis of these issues necessarily led to a finding of a likelihood of confusion? Perhaps not, but they should have been considered. Protecting color marks is not as easy as protecting traditional marks, but it is possible with careful planning. Unique’s use of advertising that highlighted the color of its product is the prototypical example of the type of use that actually creates an association in the minds of consumers between a color and a single source or product. It is equally important for those wishing to protect color marks that courts find such advertising persuasive in establishing secondary meaning in color marks. And, obviously, high sales under the color mark don’t hurt either. Unique overcame this initial hurdle and obtained a holding confirming the protectability of its color mark – a great result. Once a court holds a color mark valid, a brand owner still must show a likelihood of confusion with the accused mark. Explaining the theories of confusion to the court is important: color marks are especially susceptible to post-sale confusion and source confusion, as compared to the more familiar purchaser or point-of-sale confusion. Most products are sold in packaging with word marks, trade dress, and trade names, which can – but does not always – dispel point-of-sale/purchase confusion. Once the packaging is removed, however, a color mark remains visible while the other marks may not be on the product, resulting in a likelihood of post-sale confusion. A survey, although not required often can help a court see tangible evidence that confusion is likely. Of course, surveys are not always possible or appropriate, depending on the market and products. Unique apparently did not articulate this likelihood of confusion for the court in a sufficiently convincing manner, but this author (a tennis player himself) found the two marks particularly similar. Ian J. Block is an attorney with Pattishall, McAuliffe, Newbury, Hilliard & Geraldson LLP, a leading intellectual property law firm based in Chicago, Illinois. Pattishall McAuliffe represents both plaintiffs and defendants in trademark, copyright, and unfair competition trials and appeals, and advises its clients on a broad range of domestic and international intellectual property matters, including brand protection, Internet, and e-commerce issues. 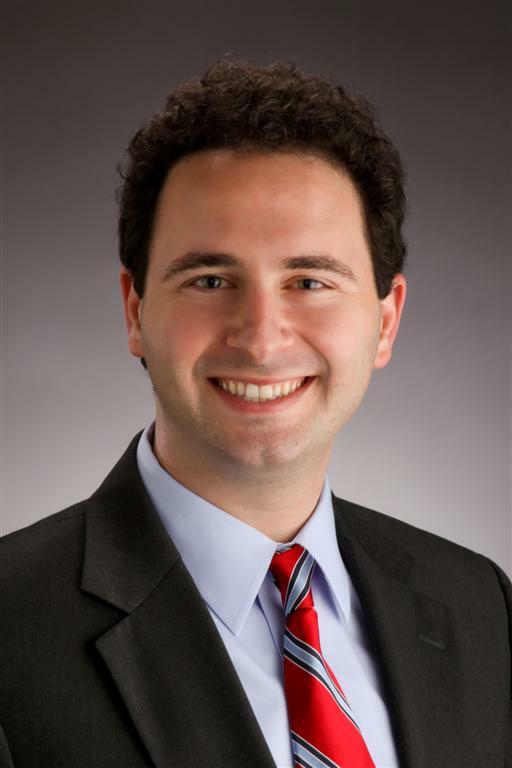 Ian’s practice focuses on trademark and copyright litigation, as well as domestic and international trademark, Internet, e-commerce, and copyright law. 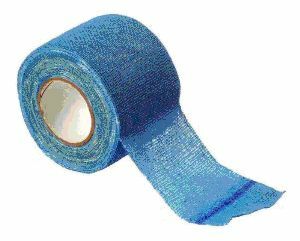 It is worth noting that Unique offers gauze tape in a shade of light blue that is much closer to Gamma’s gauze tape than is the light blue color in Unique’s TOURNA GRIP product. See http://www.uniquesports.us/mm5/merchant.mvc?Screen=PROD&Store_Code=USP&Product_Code=GT&Category_Code=OVRG.